Memorandum includes forest and land rehabilitation, wildlife and plant protection, use of wood and non-wood products, promote trade in forest products. 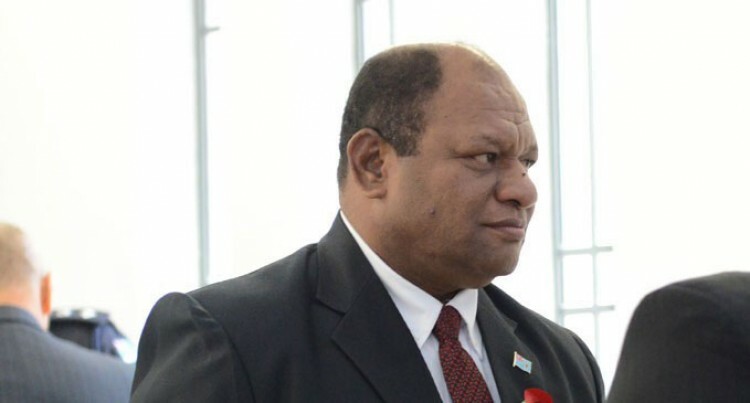 Fiji and Indonesia have signed a Memorandum of Understanding on Forestry Co-operation. The signing was made between the Minister for Forests, Osea Naiqamu, and his Indonesia counterpart, Dr Siti Nurbaya, on the sideline of the 3rd Asia-Pacific Rainforest Summit (APRS) on Wednesday. The summit is a key regional event, which brings together government, business, civil society and researchers to catalyse practical action on forest conservation to help achieve sustainable development in the region. Themed “Protecting Forests and People, Supporting Economic Growth,” APRS provides the opportunity for countries from across the region to showcase their work on balancing economics, the wellbeing of forest communities and conservation. The scope of co-operation of the signed MOU covers areas that includes the use of wood and non-wood products from sustainably managed forests, promoting sound development of trade in forest products, forest and land rehabilitation, wildlife and plant protection, and enhancement of forest law enforcement. Through exchange of officials and expert visitation, the MOU is planned to be implemented on the areas identified for mutual benefits. During the High Level Statements Session at the summit, Mr Naiqamu, during his presentation, said that through its Presidency of COP23, Fiji was building a grand coalition committed to taking action and communicating this sense of urgency widely to all levels of government, to investors and financing institutions, to the private sector, to civil society organisations and to local communities. “The key message is to accelerate climate action and press for the most ambitious target of the Paris Agreement-limiting the increase in global warming to 1.5 degrees Celsius above that of the pre-industrial age,” said Mr Naiqamu. Mr Naiqamu was accompanied to the summit by principal forestry officer Manasa Luvunakoro and Pauliasi Tokasaya of the Fijian Embassy in Jakarta.